We are pleased to welcome Dragonfly Sales and Marketing as an associate member of ALPSP. We are pleased to welcome Intellect as an associate member of ALPSP. RSC Advances has been shortlisted for the ALPSP Award for Best New Journal 2013. Here in a guest post the publisher, Emma Wilson, explains how they developed the journal to find a home for research that does not fit in within the existing Royal Society of Chemistry journals programme. "Over the last 5 years there has been a significant shift in both the global output of scientific research and in the growth of funding levels, through which we identified several emerging markets. From discussions with key scientists working in these areas we received feedback that the Royal Society of Chemistry is seen as a fair, inclusive, well respected, and high quality society publisher. However, it also highlighted that some authors felt they did not have a “society home” for their work, due to their research not fitting within the journals published by the RSC. This community feedback led us to shape the idea and strategy for RSC Advances. The Journal’s vision is to provide a high quality society publishing option for all sections of the community, including emerging research areas and markets. The Journal is aligned to the Royal Society of Chemistry’s charter objective of ‘advancing the chemical sciences’, including the specific mission “to foster the chemical sciences by the dissemination of chemical knowledge”. The ethos of the Journal is to be innovative and inclusive, providing exceptional levels of author service and support during the publication process, thereby facilitating the publication process and dissemination of the authors work. The Journal is supported by an international Editorial and Advisory Board led by Professor Mike Ward from the University of Sheffield, UK. An innovative topic modelling tool was developed for RSC Advances. A sophisticated, behind the scene, text mining tool (developed in-house) classifies all the published papers into one or more of twelve main subject categories in the chemical sciences. The online functionality improves discoverability of authors’ research, ensuring readers go directly to the content of interest to them. The success of the Journal has exceeded our high expectations. In just over a year after the publication of the first issue we celebrated publishing our 2000th article, and have moved to weekly publication. The Journal has also attracted many new authors to the Royal Society of Chemistry. The acceptance of the Journal by the community has also been further demonstrated by the release of its first (partial) impact factor of 2.56, placing it above the median impact factor for chemistry journals. At the RSC we are constantly looking to improve the author and reader experience and RSC Advances, as an innovative online Journal, is pushing these boundaries." 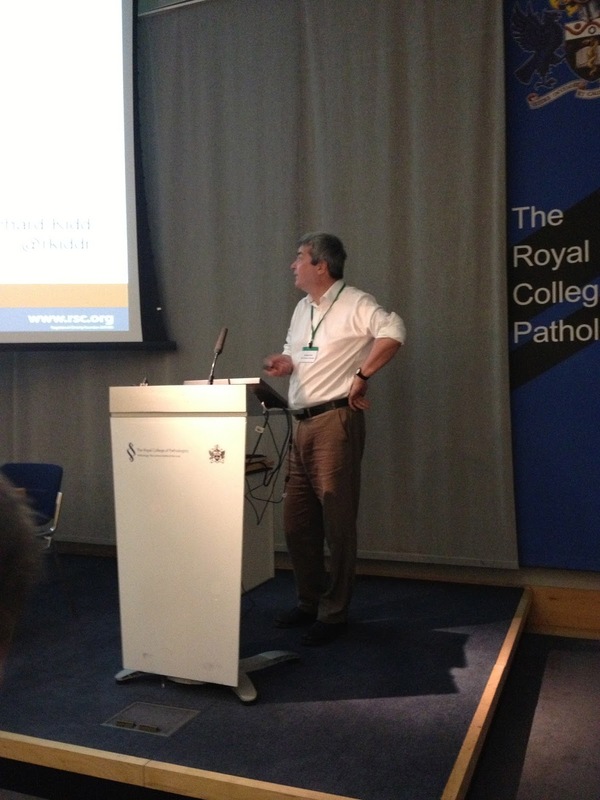 RSC Advances was launched in 2011 by the Royal Society of Chemistry. It is an online Journal publishing well conducted research that furthers the field from across all the chemical sciences, with a particular focus on interdisciplinary and emerging areas. 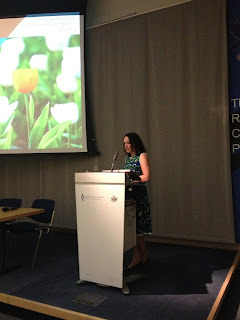 Emma Wilson is Publisher for RSC Advances and has worked at the Royal Society of Chemistry as a journal publisher since 2006. She has strategic oversight and responsibility for 16 titles in the General Chemistry, Organic, Environment Science and Biological portfolios. 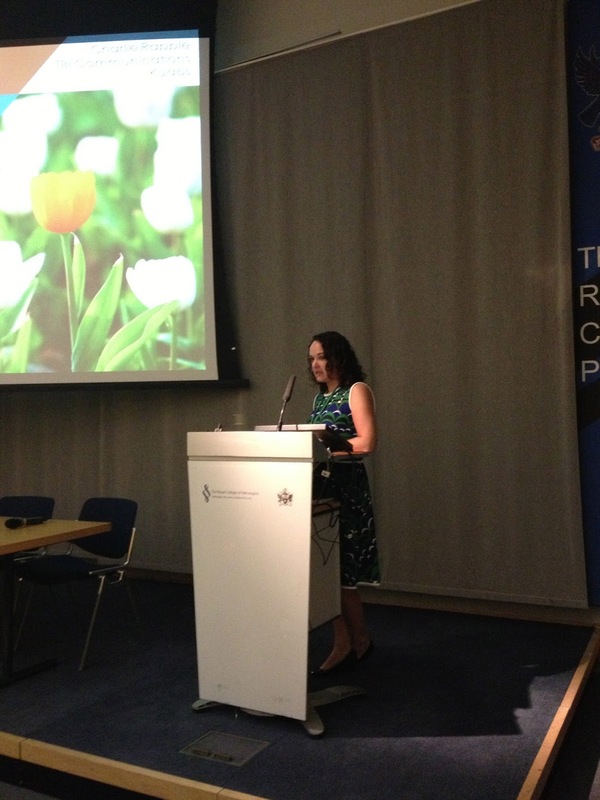 Prior to working at the Royal Society of Chemistry Emma worked in a variety of roles in Elsevier’s Life Science Division. The ALPSP Awards finalists will be given the opportunity to showcase their journal or innovation in a rapid fire session at the ALPSP International Conference on Wednesday 11 September. The winners will be announced at the Conference Awards Dinner on 12 September. Book now to secure your place. FDJ (Faculty Dental Journal) has been shortlisted for the ALPSP Award for Best New Journal 2013. Here in a guest post, Head of Marketing, Marius Müller, explains how they have harnessed their pool of specialist knowledge. 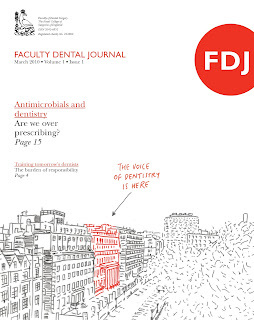 "The commissioning of the FDJ (Faculty Dental Journal) began with the premise that the dental community did not need yet another submission-fed journal offering original research and science with a few book reviews and some editorials thrown in. But how could we compete with specialised journals providing niche content to small, loyal audiences? Besides, authors would rather submit to established (and/or specialist) journals with high impact factors. This led to the question: what have we got that no one else has? Answer: we have unrivalled access to the leading specialists in dentistry as well as policy makers, senior managers, service commissioners and regulators. So, how do we turn this pool of specialist knowledge into a saleable product while side-stepping the saturated original research marketplace? We do this by occupying a contentious, hither-to untouched area of surgical journal publishing: opinion – experience and character rather than audits and experiments. We had found our market position and set out to create something that would complement (or supplement) the usual tranche of research journals healthcare professionals are obligated to read for CPD points. A journal that could showcase our strength (our USP): access to experts and their opinions. 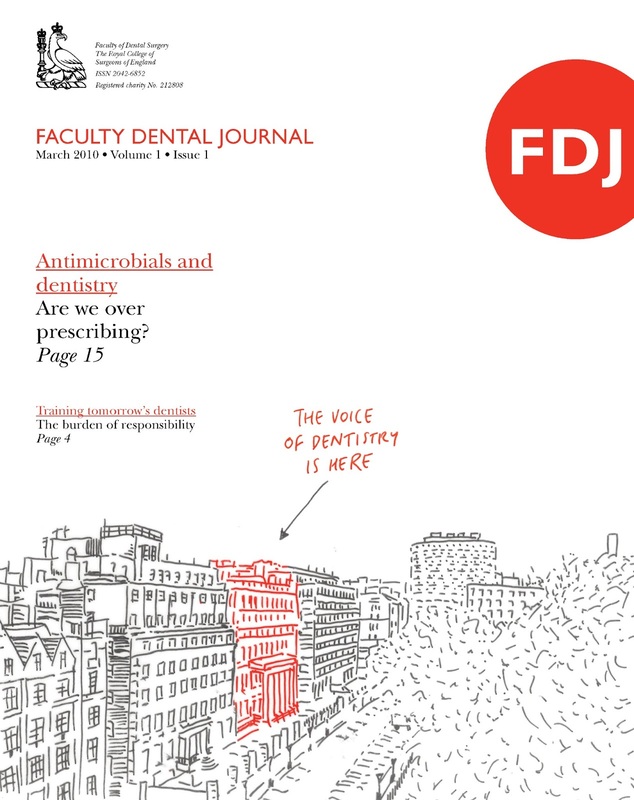 The FDJ would not attempt to replace a research journal or supplant a dentist’s other journal subscriptions – and when the time came to sell it, we made sure the subscription was affordable to an individual dentist. The community of dental surgeons did not have a professional journal, an equivalent of the Health Service Journal or Nursing Standard - now they would. We needed to make sure that the look and feel of the FDJ reinforced its editorial agenda of opinionated, topical content. The design of the journal needed to be crisp, contemporary with some wit and quirkiness. We commission cover art for each issue, originate and source in-article artwork to support the copy and adopt a ‘consumer-magazine-lite’ approach to pull quotes and stand-firsts. "We believe that the FDJ is one of the best looking products on the market, without compromising ease of access or putting style over substance." The editor-in-chief, Professor St John Crean, was appointed because his personality and extensive peer network to source content were a perfect match with the business proposition of the journal and to deliver the agenda we wanted for the FDJ. 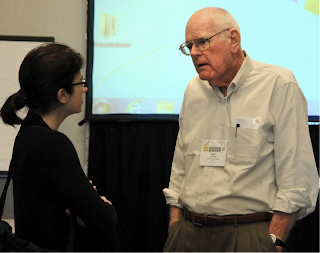 Professor Crean was committed to the same ideal, well-placed in the dental community, had a keen eye for controversial topics and, importantly, was not too concerned about chasing an impact factor. And so the FDJ was born: there is original research; there is evidence; and all the content is peer-reviewed. But, and it is a crucial ‘but’, if you disagree with an FDJ article it probably has more to do with it contradicting your own opinion rather than a dispute over the research methodology or sample size. 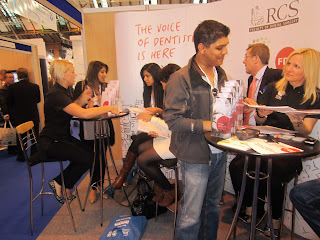 Our first cover and our strap line to this day is ‘The voice of dentistry is here’." Marius Müller, Head of Marketing, has over thirteen years of experience in academic and commercial publishing and marketing. Marius joined the RCS at the beginning of 2010 and has global responsibility for the direction and coordination of the College's sales and marketing activities. He is a Fellow of the IDM (Institute of Direct and Digital Marketing) and has extensive experience in on- and offline direct marketing and advertising, media planning and buying, website design and optimisation, social media, market research and international strategy. 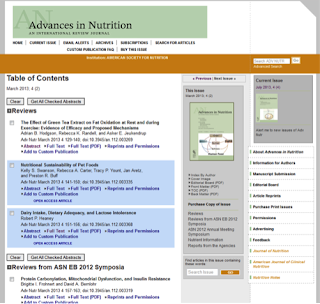 Advances in Nutrition has been shortlisted for the ALPSP Award for Best New Journal 2013. Here in a guest post, the publisher, Karen King, reflects on the publication’s launch and its unique characteristics. 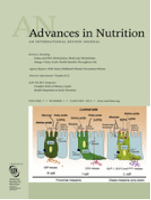 “Advances in Nutrition publishes reviews, commentaries, and program and policy updates that highlight the significance of recent nutrition research and illustrate the central role of nutrition in the promotion of health and prevention of disease. 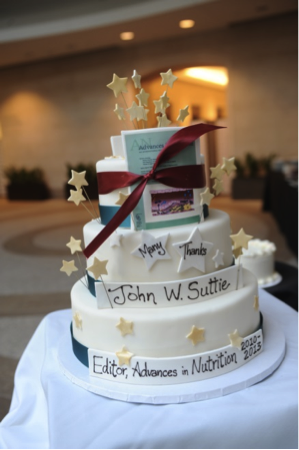 ASN leaders and officers recognized there was demand for a high-profile publication that would gather, synthesize, and explain the rapidly evolving state of knowledge in all facets of nutrition science. Interest in nutrition from investigators and practitioners in trans-disciplinary fields such as internal medicine, biochemistry, public health and epidemiology was growing dramatically. The acknowledgment that a new journal would build on ASN member expertise, offer additional opportunities for member involvement and directly align with ASN’s mission and strategic plan. After conducting focus groups and market research, the vision for the content and the pipeline for securing manuscripts was further clarified. In addition to the recently announced Impact Factor of 3.245, increasing usage and rising subscriptions, the success of the journal is evident in the influence wielded by the reviews. The translational objectives set forth during the publication’s launch are being met with flourish. Glen D. Lawrence. Dietary Fats and Health: Dietary Recommendations in the Context of Scientific Evidence. Adv Nutr May 2013; 4: 294-302. James M. Rippe, Theodore J. Angelopoulos. Sucrose, High-Fructose Corn Syrup, and Fructose, Their Metabolism and Potential Health Effects: What Do We Really Know? Adv Nutr March 2013; 4: 236-245. “We are proud that the hard work we put into launching this review journal in an extremely competitive market has been recognized by peers, and we are confident that Advances fills the gap we first identified,” says ASN Executive Officer Dr. John Courtney. Karen King is Vice President of Publications for the American Society for Nutrition, and has worked in academic and scholarly publishing for over 20 years. At ASN, she guided the publications division through many years of growth and technological advancement. Innovations have included the adoption of electronic publishing with the launch of the online version of The Journal of Nutrition (1997), the acquisition of The American Journal of Clinical Nutrition as a result of a merger with the American Society for Clinical Nutrition (2006), and the launch of a new, online-only international reviews journal, Advances in Nutrition (November 2010). PeerJ has been shortlisted for the ALPSP Award for Publishing Innovation 2013. Here, co-founder Pete Binfield explains what drove them to set up the company and their business model. "PeerJ is the open access publisher of PeerJ (a peer reviewed journal) and PeerJ PrePrints (an un peer-reviewed preprint server), both serving the biological and medical sciences. 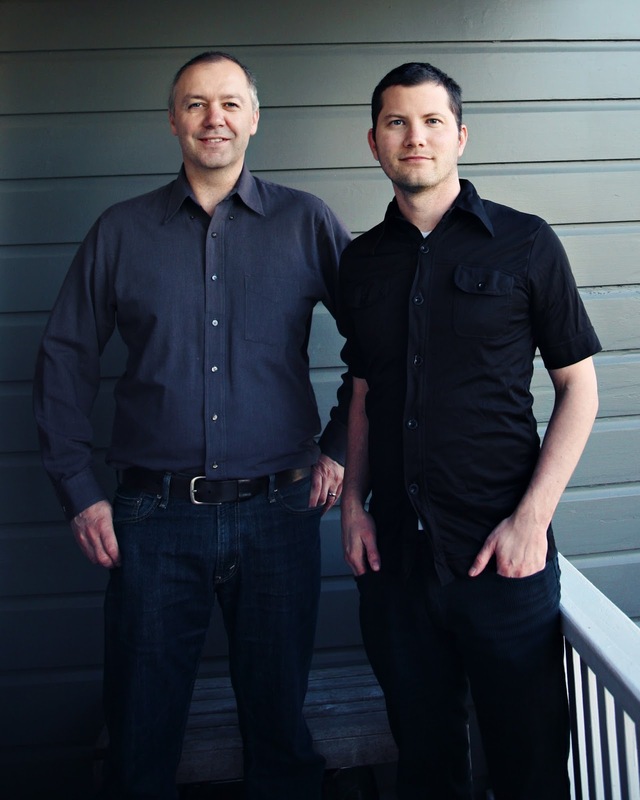 The company was co-founded by Jason Hoyt (previously of Mendeley) and Peter Binfield (previously of PLOS ONE) in 2012. 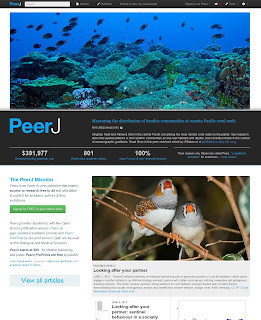 Jason came up with the concept for PeerJ and brought Pete onboard in early 2012. We announced the company in June 2012 and since that time, we have recruited an Editorial Board of over 800 (including 5 Nobel Laureates); built submission, peer-review and publication software entirely from scratch; established our publications in the academic publishing world; and published over 150 articles (in both PeerJ and PeerJ PrePrints). As part of our submission to the ALPSP Award for Innovation, we made the case that we innovate in 4 key areas: in our business model; our product suite; our functionality; and our editorial practices. For this blog post we wanted to particularly highlight our business model which is probably the innovation which generated the most interest in the publishing world. PeerJ has created a new and innovative open access business model based around individual memberships. Authors pay a single low price for a lifetime Membership to PeerJ, giving them the rights to freely publish a certain number of articles with us per year. Each co-author on a paper must be a paying Member with the correct membership level (however if an article has more than 12 authors then only the first 12 need become paying Members). By building a business model based around individual memberships rather than APC payments per publication much of our functionality and thinking has, by a natural consequence, become very ‘individual centric’ and you will see this as you surf around our site. For example, you will see this effect in our user profiles, in our academic contributions, in our search functionality and so on. As a result, our business model is not only a very visible innovation, it is also a significant driver of innovation in itself. The core principles behind PeerJ are to constantly innovate; to stay close to our market (i.e. academia); and to constantly work to reduce the overall costs to the system. By doing so, we believe that we can create a new publishing environment which will benefit from both the cost efficiencies inherent in modern software solutions, and the latest thinking behind new publication models, to help put high quality open access publishing within reach of all authors." Jason Hoyt holds a PhD in Genetics from Stanford University where he worked under Michele Calos researching human gene therapy. Before founding PeerJ, he worked at Mendeley as Chief Scientist/Vice President of Research & Development and pioneered the data mining group that scaled Mendeley's growth to crowd source more than 150 million academic documents in just over two years. Pete Binfield has worked in the academic publishing world for almost 20 years. Since gaining a PhD in Optical Physics, he has held positions at the Institute of Physics, Kluwer Academic, Springer, SAGE and most recently the Public Library of Science (where he grew PLoS ONE to become the largest journal in the world). 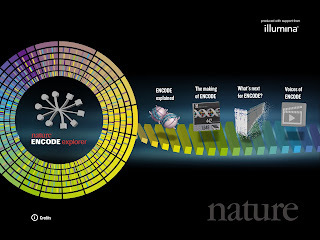 Nature ENCODE has been shortlisted for the ALPSP Award for Publishing Innovation 2013. Here in a guest post, Christian Manco reflects on the inception of the project and how they hope to develop this approach in the future. 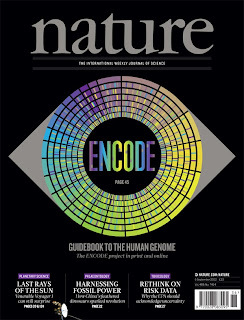 "ENCODE, the Encyclopedia of DNA Elements, is a project funded by the National Human Genome Research Institute to identify all functional elements in the human genome, in an effort to understand how a human cell interprets the genetic information within its nuclear DNA. The scale of the project and the discoveries and data it generated required the dissemination of its results to be coordinated across multiple publications in peer-reviewed journals. The main results, representing one of the most important collections of scientific publications in the domain of life sciences in recent years, were published in over 30 scientific papers on September 5th 2012. The collection of articles was published jointly by four scientific journals: Nature, Genome Research, Genome Biology and BMC Genetics. 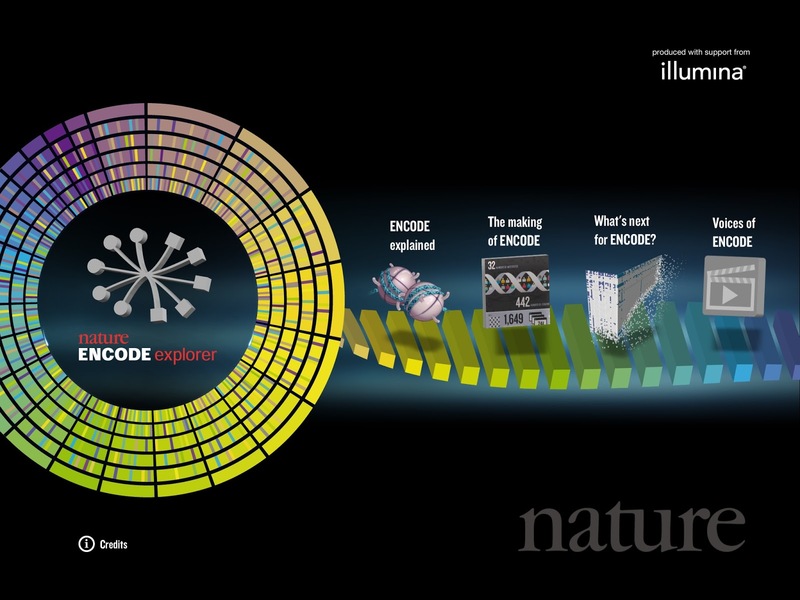 With the publication of the ENCODE package, Nature introduced a new concept in the publishing and dissemination of scientific information: the ‘threads’. The 13 online threads complement the papers by highlighting topics that are otherwise covered only in subsections of individual papers, and by providing a tool for exploring the information through a different lens. Each of them contains no original material but consists of relevant paragraphs, figures and tables from across the 30 papers, united around a specific theme, to offer to the scientific community, as a response to the increasing complexity of modern research, an enhanced and enriched way of exploring scientific publications. 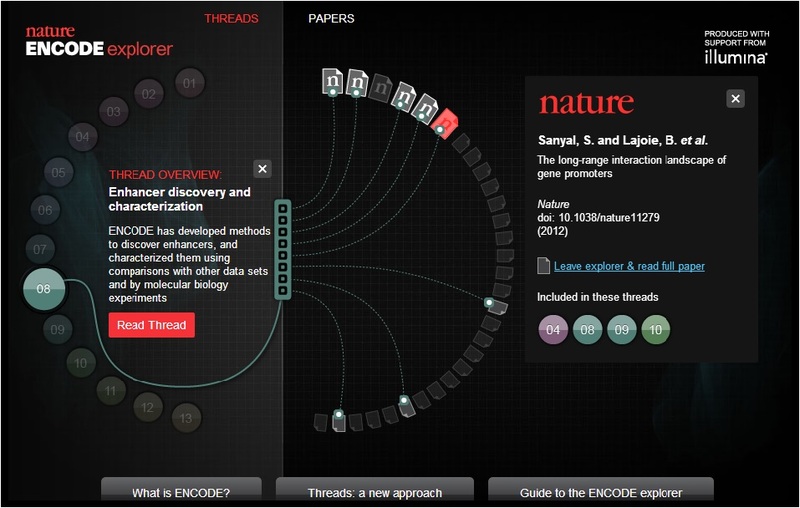 At the same time, to help the reader navigate through the research papers and to introduce the concept of threads to the scientific community in an intuitive, visual way, Nature created an interactive guide: the Nature ENCODE explorer, the main feature of the purpose-built website. The same concept applies to the Nature ENCODE app for the iPad, through which the user is able to access not only the full content of all the articles across the different publishers, but also other relevant information such as news, comments and videos. Mindful of the fact that analyses of such vast amounts of data can be hard to reproduce because analyses parameters can be hard to track, Nature included virtual machines with a subset of the papers which faithfully recapitulate a given set of analyses on a given subset of data. To the best of our knowledge this was the first instance of harnessing virtual machines to safeguard transparency of data analysis and to maximize reproducibility. 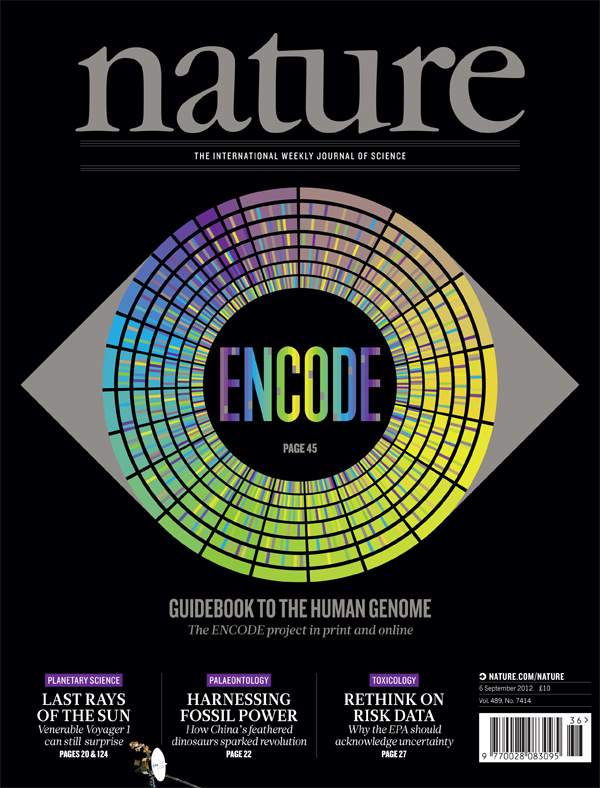 As both transparency and reproducibility have arisen as important issues in science publishing, we intend to expand on our ENCODE experience, especially in the realm of ‘big data’ publications. Thus it is our hope that future publications of similar scope can benefit from dynamic thread generating facility, as well as sophisticated ways of ensuring transparency and reproducibility." 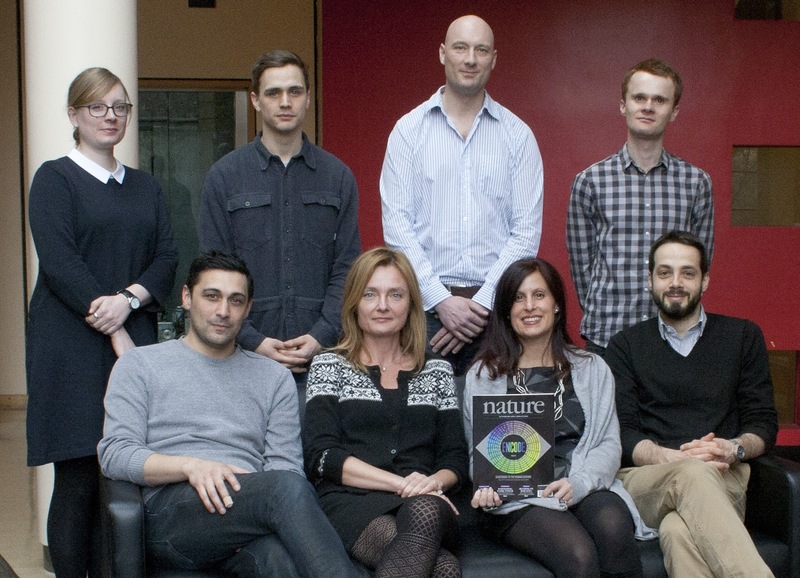 Christian Manco is Publishing Project Manager at Nature Publishing Group. figshare has been shortlisted for the ALPSP Award for Publishing Innovation 2013. Here, in a guest post, they write about how the project was born, and plans for the future. "figshare was born out of the frustration of founder Mark Hahnel who after finishing his PhD in Stem Cell Biology had no way of getting credit for all of his academic research. After three years of intensive work his 9GB of figures, datasets and media had been reduced to four papers and 250kb of static images. 99.9% of his outputs were destined to lay dormant and largely undiscovered in his institute’s repository. Mark saw this as something that was broken in academia and set about building a solution with figshare. figshare started as an open online repository where users can make all of their research outputs available in a citable, sharable and discoverable manner. Academics and researchers can upload up to 1GB of private data and unlimited public data, it accepts all file types and visualises them in the browser which removes the dependency on third party software to view files. All research outputs published on figshare are given a Digital Object Identifier (DOI) making them citable, whilst gamification metrics encourage the sharing of data with the wider community, which in turn makes the research data easier to discover. figshare has rapidly evolved since its launch in January 2012 and now works with publishers to aid visualisation, interactivity and discoverability of research outputs. 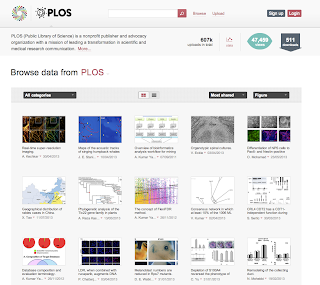 Notable examples include a partnership with the Public Library of Science (PLoS) whereby all supplementary material in all PLoS journals is now visualisable in the browser thanks to widgets provided by figshare. F1000 Research, a novel open publishing platform, also uses figshare technology to allow authors to embed large amounts of data within the articles. As part of the publisher offering, figshare has also built portals for publishers whereby the content can be filtered based on specific journals and content within that journal. Breaking the articles into their smallest citable units allows the content to be linked and filtered upon, making the outputs more discoverable. As publishers move to disseminate different types of content other than just text and PDF documents, there needs to be new ways to visualise and navigate the content. The publisher portals demonstrate an innovative way of doing this so the potential value of all research is truly unlocked." Drama Online, published by Bloomsbury in partnership with Faber and Faber, has been shortlisted for the ALPSP Award for Publishing Innovation 2013. Here in a guest post, Bloomsbury's Head of Drama Publishing, Jenny Ridout, reflects on how the project evolved. 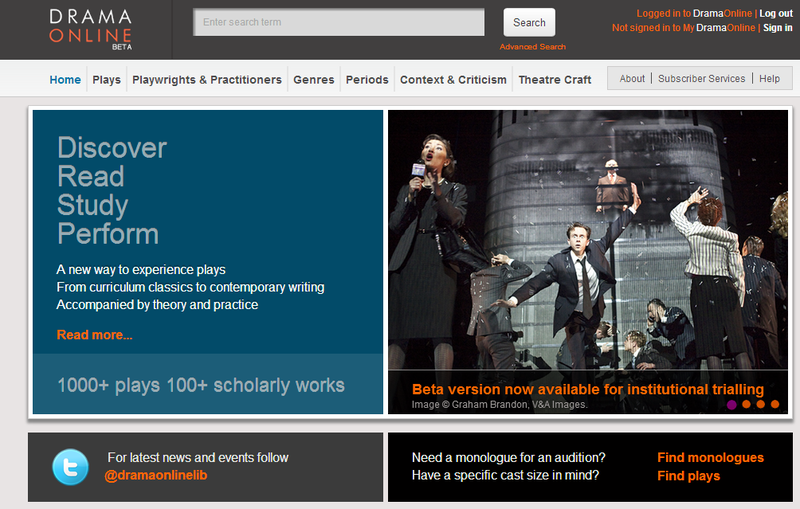 "Drama Online was developed in response to a market need for high quality study materials accessible via HE libraries. The quick and easy route would have been either to license our content to a third party aggregator or simply to put ‘books on the screen’ as PDFs. We chose instead to get under the skin of how our texts are used as study materials and to develop an enabling tool to help our audiences achieve their goals: to study, to perform, to succeed in their exams, or simply to read and absorb. The book is not the end goal, what you do with it is, and so the future of publishing is to recognise the role of publisher as facilitator and service provider. 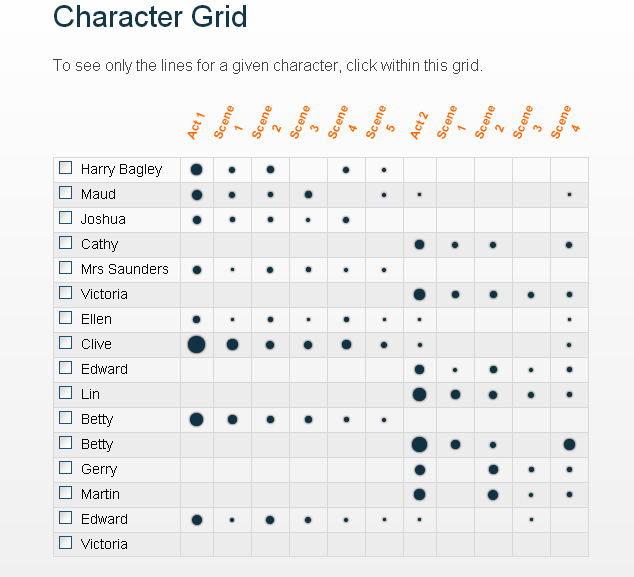 We set about researching how our texts are used and developed a drama-specific mark-up for our content using a bespoke XML data model that drives innovative features. 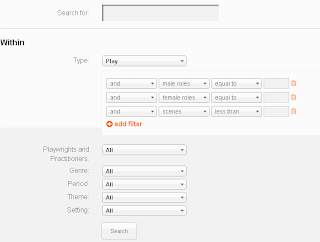 These enable people to view and interact with Character Grids and Part Books, to search on plays to perform by cast size, period, genre or theme and to find speeches by gender. 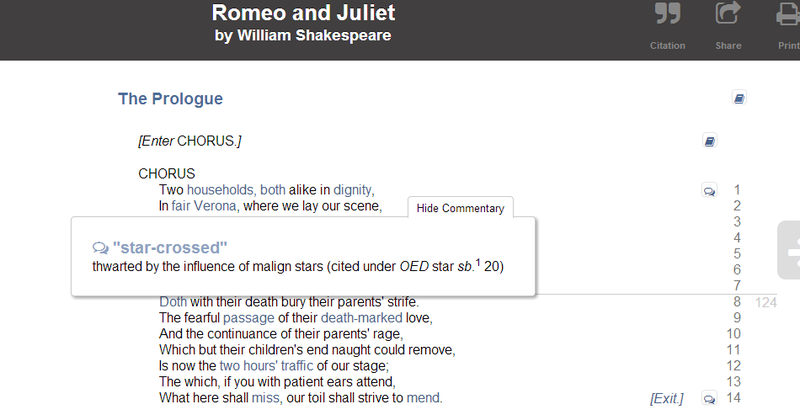 We developed an uncluttered e-reading experience, and a user-friendly way of calling up textual notes. We kept in mind the student with the marked up text, surrounded by books and post-it notes in the library, and set about replicating that activity efficiently online. We considered the lecturer who needs to point students to key passages and works and we opened up discoverability by locating plenty of content in front of the paywall. 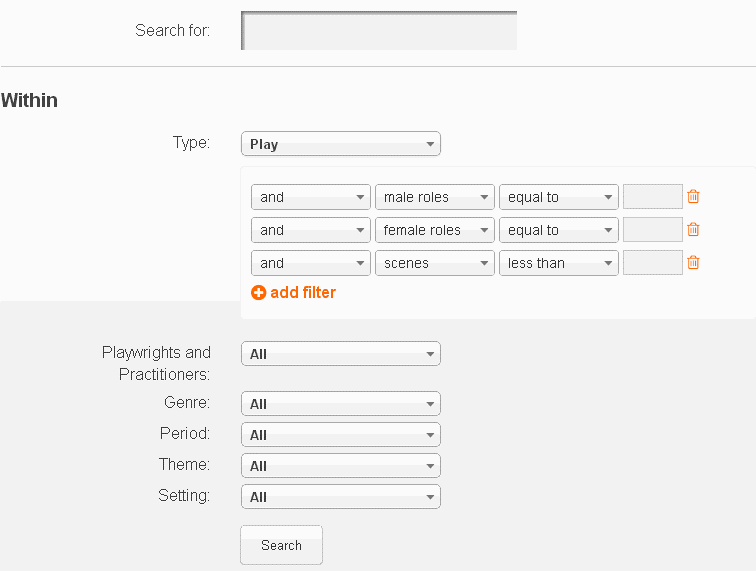 There’s even a free feature for finding who to contact for permission to perform a play. Our research showed that our readers wanted, above all, a platform that is easy to use, so we made that our number one goal. Drama Online is praised for its simple design and intuitive user interface. Our users describe navigation as ‘painless’. This is harder to achieve than it looks. We spent time in development analysing the user journey – why have three clicks when only one will do? We were inspired by some JISC research based on observational user studies and consulted with a user experience expert. The first release is only just the beginning of what we see as a long and exciting direct relationship with our users. We have ambitious content plans and will open our service to other publishers and partners. But most importantly we will listen and keep pace with our customers’ needs, invest in new features and content and fulfil our mission as a service provider." 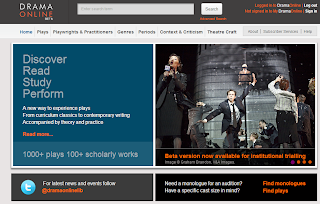 Drama Online is developed by Bloomsbury Publishing Plc in partnership with Faber and Faber. 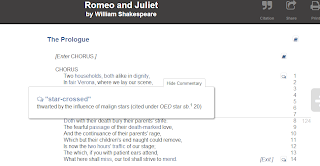 The 2013 content will comprise 1,000 plays with canonical set texts spanning centuries and continents from authors such as Aeschylus and the Arden editions of Shakespeare, to Brecht, as well as contemporary classics and iconic names like Mark Ravenhill and Tom Stoppard. The collection will be continuously fuelled by brand new writing and contextualised with over 100 titles on theatre studies and craft. Jenny Ridout is Head of Drama Publishing at Bloomsbury and the Publisher/Project Director for Drama Online. Prior to joining Bloomsbury, Jenny was International Publishing Director for Elsevier’s Focal Press imprint, responsible for the Boston and Oxford Editorial teams. Altmetric has been shortlisted for the ALPSP Award for Publishing Innovation 2013. Here in a guest post, their data curator and blog editor Jean Liu, outlines the issues that drove its development. 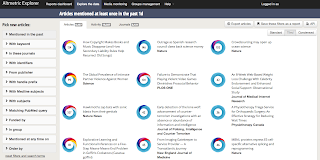 "At Altmetric, our mission is to track and analyse the online attention that surrounds individual scholarly articles, in order to provide new ways for authors, publishers, and institutions to demonstrate research impact. The rationale behind this was simple: a growing number of scholarly conversations involving both academics and non-academics have been taking place online. Moreover, these conversations are centred on individual articles, rather than journals. As a result, traditional citation-based measures of journal impact are no longer suited to reflect the signals of impact that result from the new digital methods of scholarly discourse. In some situations, the use of citation counts alone cannot demonstrate the wider impact that a research paper had on society. For instance, a paper that describes a life-saving public health intervention might have great societal impact, but few citations, perhaps due to the fact that the nurses at the front lines don’t have the time to write many peer-reviewed publications. In this case, the lack of citations might give the impression that the paper had little impact. However, metrics at the article level that measure the social web could help fill in the missing piece of this impact puzzle. For example, many healthcare practitioners are involved in the medical blogosphere and are active on social media, and might readily post about their experiences with the intervention described in the paper. As such, attention from blogs and social media could be better at telling the story of the paper’s true societal impact. Altmetric aims to complement traditional metrics by measuring and quantifying the constellation of factors that can also be indicative of impact, not only in academia but also in society. Instead of focusing on journals, we provide article-level metrics that are based on attention from a variety of sources, including social media, blogs, news outlets, and reference managers. Through these alternative metrics (“altmetrics”), Altmetric is able to rapidly capture the impact of published research in a way that is better suited for the new age of digital scholarship. All of Altmetric’s data can be easily browsed, filtered, and analysed using our flagship product, the Altmetric Explorer (Figure 1). 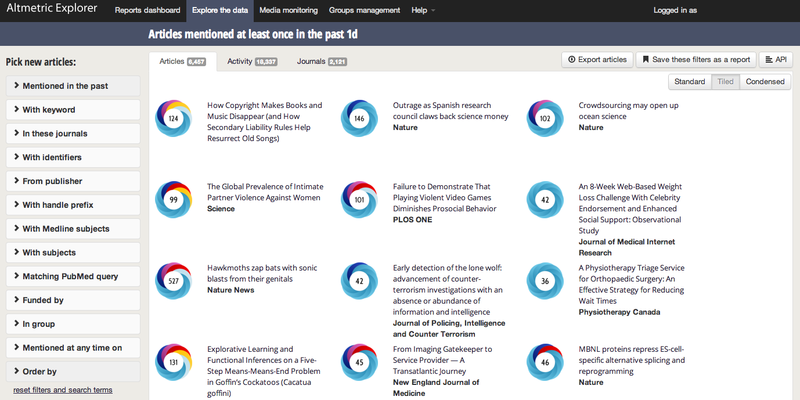 Figure 1. above shows a screenshot of the Altmetric Explorer’s interface. Individual articles are represented by “donut” visualisations, which include Altmetric scores of attention. The colours of the donuts indicate the diversity of sources that have mentioned the articles. 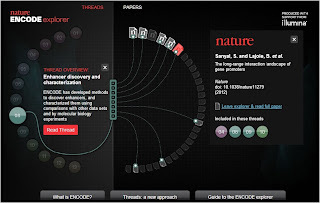 The video below provides a 'walk-through' of the Almetric Explorer tool. Introduction to the Altmetric Explorer from Altmetric.com on Vimeo. For each paper, the number of mentions from each source are displayed in “article details pages” (Figure 2), along with the actual mentions themselves. By revealing the quantitative and qualitative data, users have the freedom to make their own assessments about the true impact of individual papers. Figure 2. to the left shows a screenshot of an Altmetric details page. The left-hand side shows the donut visualization, Altmetric score, and breakdown of metrics. The main screen contains tabs that display the actual mentions that make up the metrics." Jean Liu, MSc is the data curator and blog editor for Altmetric LLP. 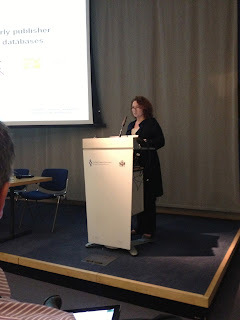 Her interest in altmetrics developed from her science blogging work and academic roots in neuroscience and pharmacology. She researches and writes about altmetrics for the Altmetric blog. Charlie Rapple, Associate Director at TBI Communications, provided a stark reminder of the environment researchers and publishers operate in at our seminar 'It's all about discoverability, stupid!' held on 10 July. The problem? There are more and more articles which people have less and less time to read. This results in too many articles that are uncited. A paper by Michael Mabe and Mayur Amin from 2001 projected 3.26% per annum growth in article numbers (Scientometrics, 51:1 (2001) 147-162) which equates to a lot of papers. In the report The Role of the Critical Review Article in Alleviating Information Overload (Annual Reviews 2011) it was found that 81% of early career researchers felt they should read more of the literature than they do, and 25% suggested they would need to read for more than 24 working hours a week to keep up. If there is less time for reading, then too many articles will go without being cited. A further article - Five-year impact factor data in the Journal Citation Reports - from 2009 by Péter Jacsó in Online Information Review, explores new indicators based on the level of uncitedness of articles in journals. The fact that reader time is at a premium is an issue for the reader, author, publisher and librarian. There is a filtering challenge. The standard way of communicating what is in a formal scientific paper is through an abstract, but when you read it, all but an expert might struggle to get to grips with the content. As a result they may miss reading the paper. One such example is a paper co-authored by R Giles Harrison at the University of Reading entitled 'Electrical signature in polar night cloud base variations' (Environmental Research Letters, March 2013). As a student, if you read the abstract, the first paragraph of which is extracted below, you might not be inspired to go to the full text download. "Layer clouds are globally extensive. Their lower edges are charged negatively by the fair weather atmospheric electricity current flowing vertically through them. Using polar winter surface meteorological data from Sodankylä (Finland) and Halley (Antarctica), we find that when meteorological diurnal variations are weak, an appreciable diurnal cycle, on average, persists in the cloud base heights, detected using a laser ceilometer." However, if you view the accompanying video posted on YouTube, you immediately see the headline story, put in simple terms, and communicated by a researcher who is passionate about and committed to his work. This approach was subsequently picked up in the wider press enabling the paper and author to gain much wider coverage raising the impact of the work. There are a lot of assets already built on authors' expertise including: lay summaries, impact statements, benefit to society statements, novelty statements etc. All this type of information could be enormously helpful to PR teams and researchers, but is currently held in silos. Part of the problem is the limited infrastructure for capturing and putting these assets to work. There is a real opportunity for the author as a more authoritative hub using existing social media networks such as Facebook and Twitter as well as research-oriented sites such as MyExperiment.org, ResearchObject.org, Mendeley and CiteULike. "If you tell people about your research, they look at it." This demonstrates the potential to close the loop, break down the silos and reclaim the value of contextual information that is currently lost or fragmented. These three problems of too much information, not enough time; valuable assets left in silos; and valuable networks being under-utilised require a solution that involves better use of metadata and multimedia. Rapple has been working on a new project, currently in beta, called Kudos, that tries to address this. Richard Kidd, Business Development Manager in the Strategic Innovation Group at the Royal Society of Chemistry, outlined semantics for discovery in STM. 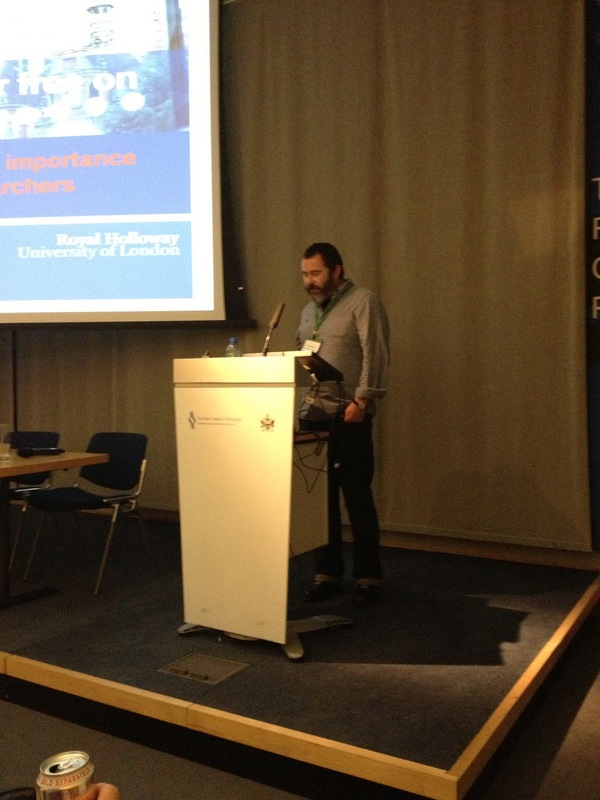 He reflected on the challenge of how you have to learn many different ways to research, as highlighted by Russell Burke from Royal Holloway earlier in the day at 'It's all about discoverability, stupid!' seminar. How can semantic enrichment help support user search behaviour? And how can it help to show under-researched content? You can use classification, index terms, and identify keywords, then build your own classification. 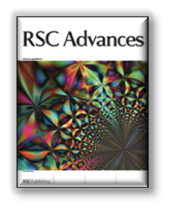 When RSC Advances launched, it was a new journal covering all of chemistry (and published 1800 articles in 2012). They needed to develop a sensible way of navigating all this content so they used topic modelling. Their publishing expertise gave them 12 broad subjects that would be intuitive to users. They worked with Wordle and then sense checked removing seven topics that were nonsense, one topic that was too general, which left over 120 topics that were classified. The remaining topics can be used for gap analysis, finding hot topics and assessing competitor weaknesses. A heavier level of classification is ontologies which are used in text mining. An ontology is a machine readable account of what there is in a given domain and how the things there relate to other things. Ontologies tend to be very domain specific and therefore context specific. But in the real world, they don't fit easily into hierarchies which can lead to large gaps in coverage and requires considerable efforts to build and maintain. Kidd's advice? Steer clear of them unless you really want to do them. Where people have been doing a lot of semantic work, it has tended to be to link their own content together (for example, GeoFacets from Elsevier or Nature.com linked data projects). Another consideration is text mining. This builds on entity identification (from dictionaries, ontologies, taxonomies) to extract recipes and additional data. You insert the semantic mark-up and conduct sentiment analysis and business intelligence. Examples include NaCTeM tools applied to PMC Europe and SciBite.com. Does a publisher text mining help text miners? In Kidd's opinion, mostly not. What should you do? For an immediate return there isn't much evidence that semantics will help your content discovery right now. Customers aren't paying for enriched data. However, making discovery metadata widely available as linked data seems sensible. Semantic works tends to be development rather than discovery. Currently, it is used internally for product development and pump priming. A lot of data is being pushed externally via API for linking, while everyone waits for clever ideas to come along. And in the future? Big issues are likely to focus on authoring tools and data quality. At Royal Holloway University, they spend a lot of time coaching and training potential and current students on information literacy. Russell Burke, an Information Consultant there, outlined what they cover and who they train. At Royal Holloway they provide training tailored to subject department needs. They cover pre-sessional and sixth formers as well as undergraduates from first to third years. They also train postgraduates including taught masters and PhD researchers and graduate skills. They work with staff although there are varying degrees of engagement between departments. Embedded training is used as well as IS and one-to-one sessions. An example information literacy session for first year undergraduates would include: finding items on your reading lists; developing a search strategy; online resources and services - LibrarySearch, Web of Knowlege, MLA International; searching information sources - hints and tips; citation and referencing - RefWorks; accessing online resources off campus; and using other libraries. 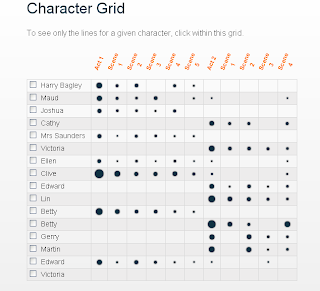 They also help students with finding material on reading lists through their online reading list system, the Moodle (VLE), via handouts (for vintage academics! ), and via LibrarySearch. Often, students are thrown when it comes to book chapters as they are so used to searching digitally for journals articles. So they also provide an example of reference to a book. Getting them to think about their essay question or research topic is also covered. The focus is on what they need to find out and searching for information - you can't just type in your essay title. Students are encouraged to ask what it is they are looking for, to think around the topic, and to consider what the essential terms they will need to search for. Guidance is provided on developing a search strategy. Identify keywords that define your research question. Select relevant information sources. Evaluate and modify your searches and select and save results, then locate copies of promising texts. Origin - where is your information from? Can you get access to the online full text or print material? Content - is it an academic journal? A published book, a newspaper or a public website or a blog? Relevance - read the abstract (summary) so they know it's relevant. With citation and referencing, students are guided to acknowledge the author of the source. This will enable the item to be traced (by their lecturer, something most students pick up on first). But it also shows evidence of the scope and depth of your research. Then they have to understand the appropriate reference style (layout etc). They cover legal issues such as plagiarism - something that is incredibly important to the institution - and then provide guidance on selecting and saving results and full text. Other issues that are covered relate to RefWorks: bibliographic management software; capturing, saving and organising references; how to access it via the e-reousrces or an A-Z list; and how to access online self-help tutorials. They also teach them about the various different systems and standards, of which there are many! Burke closed with a useful tip: they use gaming as an icebreaker for students. It works to engage and present information in a more digestible form and helps with newer students. Labels: #alpspdiscover, ALPS, discoverability, It's all about discoverability, royal holloway, Russell Burke, stupid! Lettie Conrad is Online Publishing Manager at SAGE Publications. At the ALPSP seminar 'It's all about discoverability, stupid! How to get your content seen by the right people', she provided an outline of a publisher's discovery channels and asked: who uses it? why does it matter? and how do you monitor? Conrad define their channels as those that readers use to find SAGE content. Central to this is understanding their preferences, modes and habits. Market research: usability testing and observation; librarian advisory boards; end user focus groups,surveys etc; information-seeking behavour research studies. Data analysis: COUNTER reports; Google Analytics; Moz (previously SEOMoz); Data Salon. Open web search (e.g. Wikipedia, Google). Everyone uses it. It is simple and user friendly and drives quantity versus quality traffic providing quick search on a new topic. Ultimately, knowledge of user trends is key and it matters because everyone uses it. Here, SEO = ROI as this is your common 'starter' channel. They monitor with Google Analytics, Moz and market research. Users are advanced students, faculty; advanced search and browse; tending towards narrow queries or "known searches". They capture advanced readers and provide win-win discovery services such as ERM feeds, LibGuides, widgets and more. They monitor using Google Analytics, COUNTER - cost/use; and usability testing. Users include advanced students, faculty, practitioners; power users; use case: deep research, building expertise (Microsoft Academic search, Google Scholar, SciVeerse Scopus, PAIS, Wilson, etc). This channel matters because they reach experts and 'power users'. It helps with branding and profile in the scholarly ecosystem. It is a mainstream academic search: hybrid, emerging technology (e.g. Microsoft Academic and Google Scholar as game changers) which enables them to reach a wider audience. They monitor with qualitative market research metrics and Google Analytics. Usage from this channel is relatively low. Even so, it is a powerful channel as these are influencers: valuable traffic. Campaigns used by journals marketing focus on faculty, authors, society members, practitioners and librarians. They receive flyers, emails, register for content alerts, attend conferences, conduct social search. This activity is monitored by market research, email usage, Google Analytics, platform feature usage. 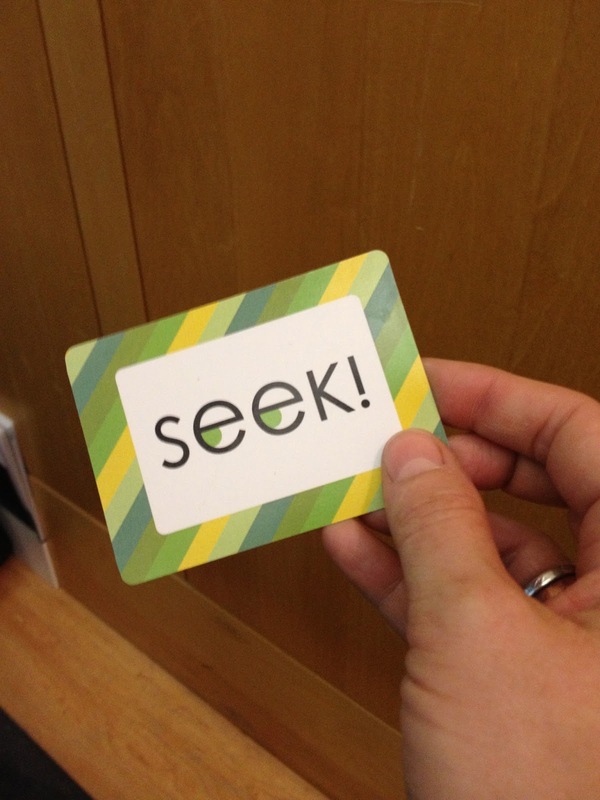 With library marketing they contact librarians; generate new sales, focus on renewals and news. They are engaging with faculty and authors to build brand, to influence and to engage. They also contact students and readers through social media and networking. (Two examples are Social Science Space and Social Science Bites Podcast). They monitor through market research, COUNTER reports, Google Analytics and Data Salon. Conrad counselled that you get what you pay for with Google Analytics. They also use COUNTER for library ROI, but ultimately, data is not enough: know your users! Labels: #alpsp, #alpspdiscover, alpsp, discoverability, It's all about discoverability, Lettie Conrad, Sage Publications, stupid!